A very small structure from 32 gold atoms has been successfully synthesized by scientists. Precisely, 12 gold atoms enclosed by a shell of 20 extra gold atoms form the core of this unique nanocluster. Researchers from the Chinese Academy of Sciences (CAS) and at Linköping University have demonstrated the possibility of developing highly efficient and more reliable polymer solar cells at a lower cost. The breakthrough research is focusing on the development of polymer solar cells without using unstable and expensive fullerenes. The general belief is that superconductors can only be used in a few applications as the finest of these materials tend to lose their resistance at -70°C. These days they are predominantly used in magnets for fusion devices, particle accelerators, and nuclear magnetic resonance tomographs. Organic/polymer solar cells represent the most important direction for green energy in the future. Fullerene electron acceptors have been widely used in organic/polymer solar cells as well as perovskite solar cells. A recent study reveals that the photovoltaic performance can be influenced by fullerene stereomer, implies that the stereomeric effect should be envisaged if new fullerene derivative was designed as electron acceptor. Research and Markets has announced the addition of the "Global Fullerene Market 2015-2019" report to their offering. Rice University scientists are forging toward tunable carbon-capture materials with a new study that shows how chemical changes affect the abilities of enhanced buckyballs to confine greenhouse gases. Radiotherapy used in cancer treatment is a promising treatment method, albeit rather indiscriminate. Indeed, it affects neighbouring healthy tissues and tumours alike. Researchers have thus been exploring the possibilities of using various radio-sensitizers; these nanoscale entities focus the destructive effects of radiotherapy more specifically on tumour cells. 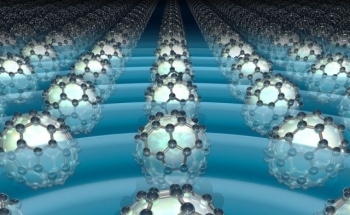 The discovery of the soccer ball-shaped C60 molecule in 1985 was a milestone for the development of nanotechnology. In parallel with the fast-blooming field of research into carbon fullerenes, researchers have spent a long time trying in vain to create structurally similar silicon cages. In 1996, a trio of scientists won the Nobel Prize for Chemistry for their discovery of Buckminsterfullerene - soccer-ball-shaped spheres of 60 joined carbon atoms that exhibit special physical properties. Materials resulting from chemical bonding of glucosamine, a type of sugar, with fullerenes, kind of nanoparticles known as buckyballs, might help to reduce cell damage and inflammation occurring after stroke. A team from the Max Planck Institute in Germany has tested this on mice, opening the door to potential new drugs for the cerebrovascular accident.